Thomas Robertson was born in Scotland but emigrated to Canada a few years before the war. Although he had achieved the rank of Company Sergeant Major with the military police he reverted to Private in order to get to the front two months before his death. Thomas Lockie Robertson was born on 21 April 1890 at Crichton in Midlothian, Scotland about 20 km south-east of Edinburgh, the youngest of three children born to James Robertson (1860–1911) and his wife Grace Brown Lockie (1857–1925). James Robertson was born in June 1860 at the tiny village of Quothquan, near Lanark, about 50km south-west of Edinburgh, the son of a shepherd. James’s mother died when he was only two and his father never re-married. By the 1870s, James and his father were living at Buns in Berwickshire but by 1883, James had moved to Peeblesshire, where he married Grace Brown Lockie at Traquair on 6 July 1883. Grace had been born at nearby West Linton, and her father was also a shepherd. Over the early years of their marriage, James and Grace moved frequently around the Scottish lowlands with their first child, Janet, being born at Lauder in Berwickshire in December 1883. Their next child, John, was born in 1887 at Spott, near Dunbar, in East Lothian followed by Thomas, born in the hamlet of Tynehead, near Crichton in April 1890. At the time of Thomas’s birth, James was employed as a gamekeeper on the Preston Hall estate owned by Henry Burn-Callander. At the time of the 1901 census, the family was living at Edmonstone Home Farm, in Newton near Dalkeith in Midlothian, where James was now employed as a dairyman. Ten years later, James and Grace were living at Restalrig village, in the Portobello district of Edinburgh, although all three children had left home. James was still working as a dairyman. The couple had two live-in servants, 31-year old Mary Sneth and her 28-year old sister Annie. Living next door was 21-year old Alexander Gray, employed as a carter on the local dairy farm. James died at Edinburgh Infirmary on 21 July 1911, aged 51; the cause of death was “Acute Peritonitis after Appendicitis”. Sometime around 1911, Thomas migrated to Canada where he settled in the province of Saskatchewan where, by the time he enlisted in 1914, he was working as a fireman. By September 1915, Thomas had returned to the United Kingdom with the Canadian Expeditionary Force. On 3 September 1915, in the St Giles district of Edinburgh, he married Evelyn Catherine Sneth, the younger sister of Mary and Annie, who were working for Thomas’s parents in 1911. The marriage register records Evelyn’s occupation as a Hosiery Machinist. 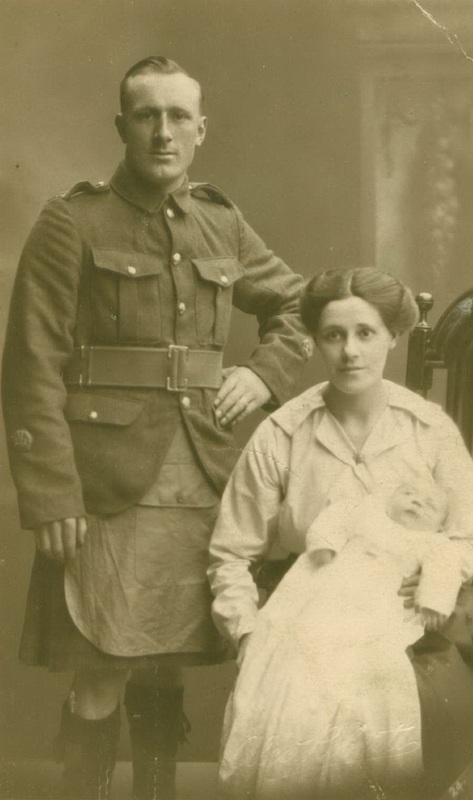 On 6 February 1917, Thomas and Evelyn’s son, James Lockie Robertson was born at Restalrig. 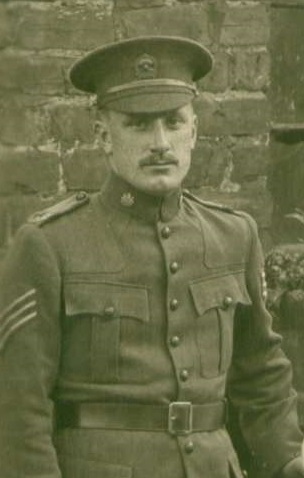 While based at the Canadian HQ at Crowborough, Thomas was initiated into South Saxon Lodge No 311, meeting at Lewes, on 21 February 1917, two weeks after the birth of his son. Thomas was passed to the second degree on 21 March and raised to the degree of a Master Mason on 18 April. As Thomas went to the Western Front in late April and was killed two months later, he never received his Grand Lodge certificate. Immediately after the declaration of war, Thomas enlisted in the 105th Regiment (Saskatoon Fusiliers). The Saskatoon Fusiliers had been formed in 1912 and in August 1914 started a recruitment drive, sending regular contingents of recruits to the Canadian Expeditionary Force training camp at Valcartier near Quebec. The Saskatoon Fusiliers were a supply battalion and initially supplied troops to the 11th Battalion C.E.F. Thomas was soon sent to England and at the time of his marriage in September 1915, he was a sergeant in the 11th Battalion C.E.F., based at Shorncliffe in Kent. At the time of his son’s birth in February 1917, he was described as a “mechanical engineer” and a Sergeant Major with the Canadian Expeditionary Force headquarters at Crowborough in Sussex. His final promotion was to Company Sergeant Major (the highest non-commissioned rank) in the Canadian Military Police. In April 1917, Thomas applied to be reduced to the ranks as a Private so that he could “do his bit” in the front line, and was transferred to the 16th (Canadian Scottish) Battalion, going to France at the end of April to join the battalion, part of the 3rd Canadian Infantry Brigade, based at Mont-Saint-Éloi, a few kilometres south-west of Vimy Ridge. In April, the 16th Battalion had been part of the Canadian army which captured Vimy Ridge, a 7 km ridge north of Arras which held a commanding view over the Allied lines. The Canadians lost 3,600 men killed and over 7,000 injured, with the 16th Battalion suffering 135 deaths (plus many more injured), including Private William Johnstone Milne, who was posthumously awarded the Victoria Cross, for single-handedly taking out two enemy machine gun positions. To make up for the losses, the battalion had a fresh draft of 175 men on 28 April and a further 150 on 3 May. 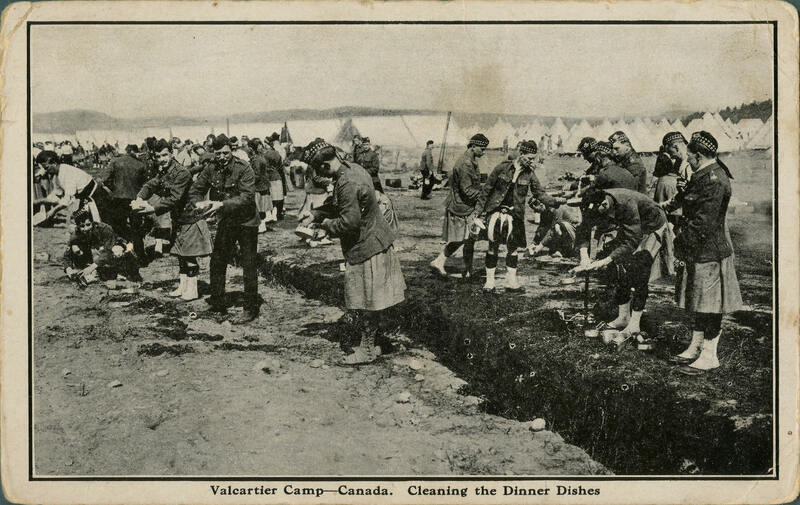 The battalion spent the next three months rebuilding and retraining, in between periods in the trenches to the south of Vimy Ridge before preparing for the next major attack, the assault on Hill 70 scheduled for mid-August. During this time, there were occasional skirmishes with the enemy, including on the night of 2/3 July when the battalion were in the trenches near Fresnoy-en-Gohelle. Weather fine. Great Aerial activity on part of the Hun. A squadron of five brightly painted machines was very busy all day. At about 2.00 a.m., a fairly heavy barrage of light gas shells was placed on our Support and Right front Line. “Stand to” was ordered and “Gas Alarm” given. Everything was quiet a little later. A party of Huns approached our Wire in front of No 4 Company. Fire was opened on them and it appeared that someone was hit. The party then retired leaving some bombs. The rest of the night was quiet. Casualties – 2 O.R’s killed in Action and 2 Wounded. While on duty in the trenches North-West of Fresnoy [Fresnoy-en-Gohelle], on the night of July 3rd, 1917, he was instantly killed by enemy machine gun fire. The fellow soldier killed the same day was 42-year old Private Duncan McAllister, originally from Aberdeen in Scotland. The two men were buried alongside each other in La Targette British Cemetery at Neuville-St. Vaast a village seven kilometres north of Arras. Alexander Gray, who was living next door to Thomas’s parents in 1911 also emigrated to Canada, finding employment as a railway dining car chef in Winnipeg. He enlisted in June 1915, joining the 61st (Winnipeg) Battalion and achieving the rank of sergeant. He was awarded the Military Medal in February 1919, “for continuously good work as a Platoon Commander during the operations from 8th August to 15th August 1918″. On 23 April 1916, he married Lilian Marion Sneth, the sister of Thomas’s wife. The couple settled in Winnipeg after the war and had a family; Alexander died in 1969, aged 80. Thomas’s mother died in Edinburgh in April 1925. His widow, Evelyn never re-married and died in Edinburgh on 21 September 1946, aged 54. Their son, James married Hilda Jean Bunyan (1919–1985) at Edinburgh in March 1940, and died in 1969. Their son, also Thomas, was born in Edinburgh in 1941.